Yesterday, GBP fell against USD, receiving no significant support from the UK labor market report. The Unemployment Rate in February remained at 3.9% 3m/Yr, which coincided with market forecasts. Average Earnings without bonus decreased slightly by 0.1% to 3.4% 3m/Yr in February, as expected. March Claimant Count Change increased from 26.7 to 28.3K, while analysts had expected a decline to 20.0K. Today, during the Asian session, the pair is trading upwards, receiving minor support from Chinese publications. Investors are awaiting the release of March statistics on consumer inflation in the UK. It is predicted that the CPI will rise by 0.3% MoM, slowing down against the previous +0.5% MoM, and grow by +2.0% YoY. 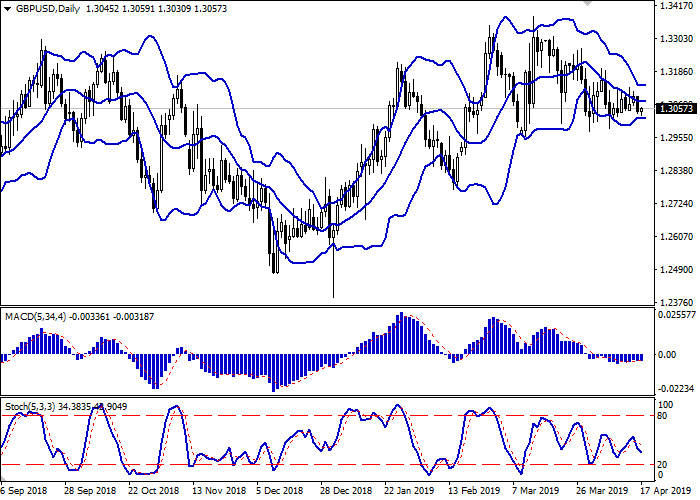 The market also expects the speech of the head of the Bank of England Mark Carney, who can tell about the plans of monetary policy in the context of new terms for Brexit. On the daily chart, Bollinger bands unfold into a horizontal plane. The price range is trying to consolidate, reflecting the ambiguous nature of trading in the short term. The MACD indicator is falling, keeping a poor sell signal (the histogram is below the signal line). Stochastic’s dynamic is similar, it is approaching its lows. It is better to wait until the situation is clear. Resistance levels: 1.3100, 1.3148, 1.3195, 1.3245. Support levels: 1.3030, 1.3000, 1.2957, 1.2917. 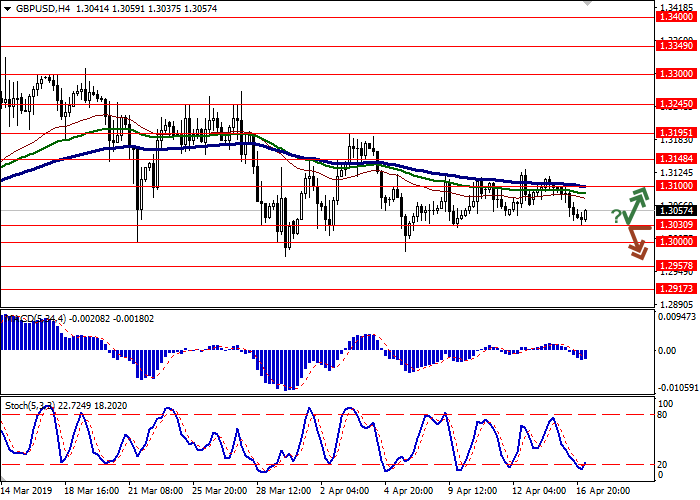 Long positions can be opened after a rebound from 1.3030 and the breakout of 1.3100 with the target at 1.3195 or 1.3245. Stop loss is 1.3050. 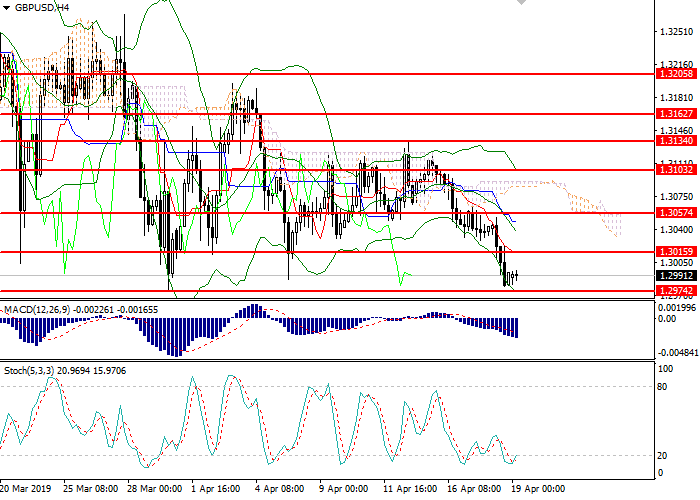 Short positions can be opened after the breakdown of 1.3030 with the targets at 1.2957 or 1.2917–1.2900. Stop loss is 1.3070.